More than 22 percent of New Jersey’s population is foreign-born, according to New American Economy, a coalition of business leaders and mayors. There are only two states, California and New York, where a higher proportion of the population is made up of immigrants. And Princeton, a “welcoming community” (though not officially a “sanctuary community”), increasingly attracts visitors and new residents from all over the world, drawn to the educational, work, and business opportunities and the lifestyle of the town. A growing population of Latinos is settling in the Witherspoon-Jackson section of town, and a diverse population of Asians, and others are attracted to the excellent Princeton-area schools and the variety of jobs in the Philadelphia-Central New Jersey-New York region. On the peaceful southwestern edge of town, the Institute for Advanced Study (IAS) resides on nearly 600 acres. Even in this country, state, and town of immigrants, the IAS is remarkable as a testament to the importance and powerful, positive presence of foreign-born residents. Since its founding almost 90 years ago, it has thrived on the contributions of its immigrant population and depended on the work, the ideas of its resident scholars from dozens of different countries, and the support of thousands of others from around the world. In the face of recent immigration restrictions and limitations, travel bans, and political rhetoric stirring up fear and animosity, along with the inability of government to pass meaningful legislation, the IAS has asserted the founding principles of the Institution, which reflect the founding principles of this nation, and spoken strongly to embrace the cause of its immigrant scholars and their freedom of movement and study. Recent clashes and the current charged climate have sent the IAS back to its roots, into its past to reaffirm the principles on which it was founded and the history that has shaped its formidable status as one of the premiere research institutions in the world. Two days later, on February 1, 2017, the IAS faculty, emeriti faculty, and trustees followed up with their own affirmation of this Institute’s founding principles, its history, and its ongoing commitment to the welcoming and support of its members and visitors from around the globe. As much as, perhaps even more than, the town and the country in which it resides, the IAS has been dependent on immigrants for its survival and has, since its founding, thrived and grown to prominence in good measure due to the strength of its immigrant population. The adversity of the era in which it was created in the early 1930s, the Great Depression, the buildup to World War II, and the flourishing of authoritarianism, particularly the rise of Adolf Hitler in Nazi Germany, created opportunities for the Institute as it recruited top scholars from German universities. In January 1933 Hitler became chancellor of Germany and quickly consolidated and expanded his power. A law in Germany initiated in April of that year called for a purge of all civil servants of non-Aryan descent or questionable political affinities. German universities were strongly affected by that law, particularly in the fields of mathematics and natural sciences, where Jews had enjoyed better opportunities. In the ensuing months, distinguished scholars left many of the country’s most prominent universities and intellectual institutions, most notably the renowned Mathematical Institute at the University of Gottingen. The timing was perfect for the fledgling IAS, which had just launched its inaugural School of Mathematics, housed in Princeton University’s Fine Hall until the building of the Institute’s Fuld Hall in 1939. A wave of refugee scholars were seeking to emigrate from Germany and other European countries and find positions elsewhere. 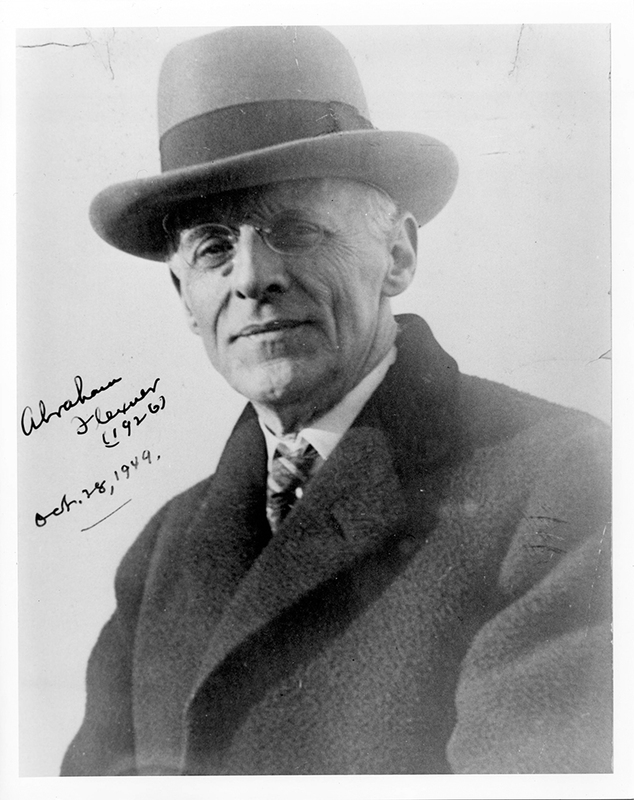 Abraham Flexner, the first director of the IAS. 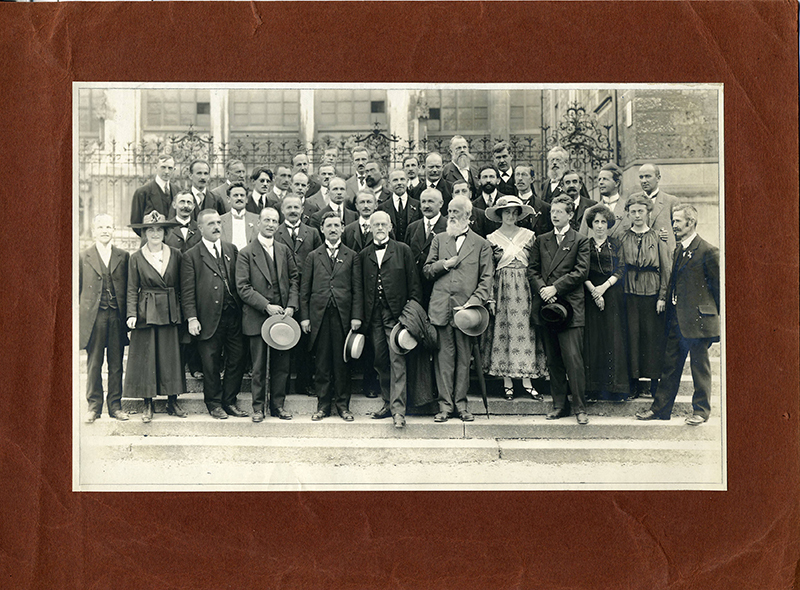 Abraham Flexner, IAS’s first director, and particularly Oswald Veblen, mathematician, geometer, topologist, and first faculty member, recognized the opportunities for recruitment. Albert Einstein, targeted by the Nazis in Germany; Hermann Weyl, mathematics luminary at the University of Gottingen; and John von Neumann, renowned young mathematician of Hungarian origin who was a visiting professor at Princeton University at the time, joined the Institute in 1933. Over the next few years they were joined by Paul Dirac, Wolfgang Pauli, and two women scholars, algebraist Emmy Noether and topologist Anna Stafford, along with many other visiting scholars. Women students were not accepted at most leading graduate schools at the time. As the 1930s proceeded and turbulence in Europe grew, Flexner abandoned his reluctance and, with Veblen, became deeply involved in projects to assist refugees. First Veblen then Flexner joined the New York City-based Institute of International Education’s Emergency Committee in Aid of Displaced German Scholars (later renamed to include all foreign scholars) to assist scholars fleeing Europe. In a 1938 letter to the Harvard mathematician George Birkhoff, Flexner expressed his determination to expand and develop the IAS without regard to national origin of its members. He also revealed an understanding of the monumental scope of the venture he and the IAS were engaged in. He claimed that “the center of gravity in scholarship” would move across the Atlantic Ocean to the U.S., as so many of Germany’s top scholars emigrated to the United States and particularly to the IAS. 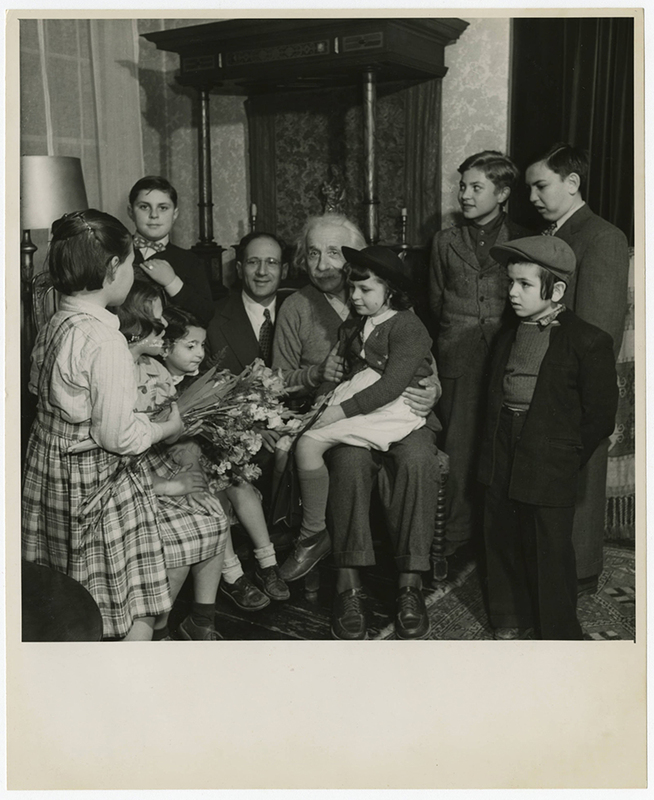 A letter that Einstein wrote to Eleanor Roosevelt in July, 1941 highlighted the difficulties faced by the Institute and some of its immigrant scholars in navigating the bureaucratic tangle of federal immigration policies. The IAS in 2018 continues to welcome an increasingly-diverse group of permanent faculty and visiting researchers originating from countries around the globe. 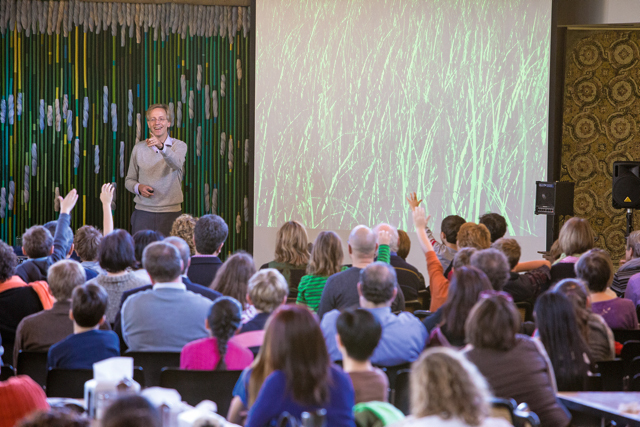 Among its faculty and visiting scholars are 33 Nobel Laureates, 42 of the 60 Fields Medalists, and 17 of the 19 Abel Prize Laureates, as well as many MacArthur Fellows and Wolf Prize winners. An early mathematics conference at the IAS. Knowledge of the early history of the IAS, the writers claimed, should serve as “a call for vigilance in the face of policies such as travel bans and immigration deportations, as well as attempts to curb scientific inquiry and cut funding to the arts and humanities endowments” that now threaten research endeavors and the lives of the scholars who undertake that research.